A very scare Lost in Space item! 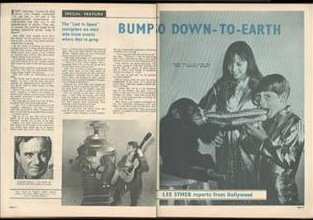 This United Kingdom Regional TV guide was released on November 6-12 in 1966. 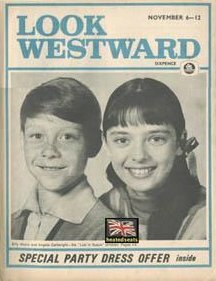 The front cover features Angela Cartwright and Billy Mumy. On February 10, 2002 with 13 bids on eBay, this item sold for $475.00.